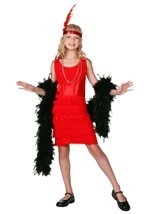 Now your kids can experience the exciting spirit of the roaring 20's with any one of our child size flapper costumes. 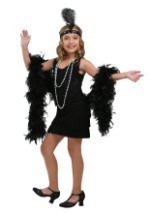 We carry a unique selection of flapper Halloween costumes with various different styles so your child will have plenty to choose from. Our authentic 1920's style flapper dresses are available in toddler, kid, and teen sizes so you can find the right fit for your child.